I love Shamrock Shakes! I had one on Saturday, and I hope to get one more before the end of the day. I am often bummed when they disappear from the menu. 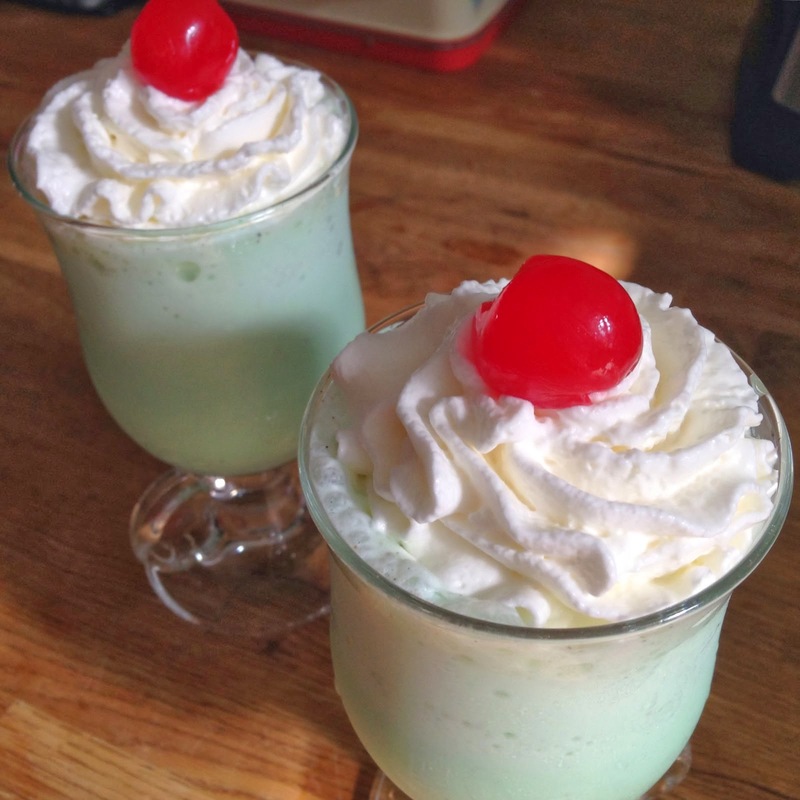 Andrew and Dennis over at Crafty Lumberjacks, shared their version of the Shamrock Shake that tastes and looks like the real thing. Having the recipe at home means you we can make them all year long. Yea! Make sure to go over and visit the Crafy Lumberjacks and check out their tasty recipe. Thanks so much for linking up to Dare to Share guys! You are very welcome! I love Shamrock Shakes, and would love to have them all year round.